Adorable corner lot bungalow with 4 bedrooms, 1.5 baths, first floor laundry, high ceilings on 1st floor makes this 1357 sq. ft. home feel much larger. Large open dining room/family room with new flooring & carpeting, first floor master bedroom with hardwood floors and french doors, additional bedroom on 1st floor with hardwoods, fully applianced kitchen with gas stove, 1/2 bath with laundry, full bath with tile shower. 2nd floor has 2 good size bedrooms (1 with new carpeting), and storage room. 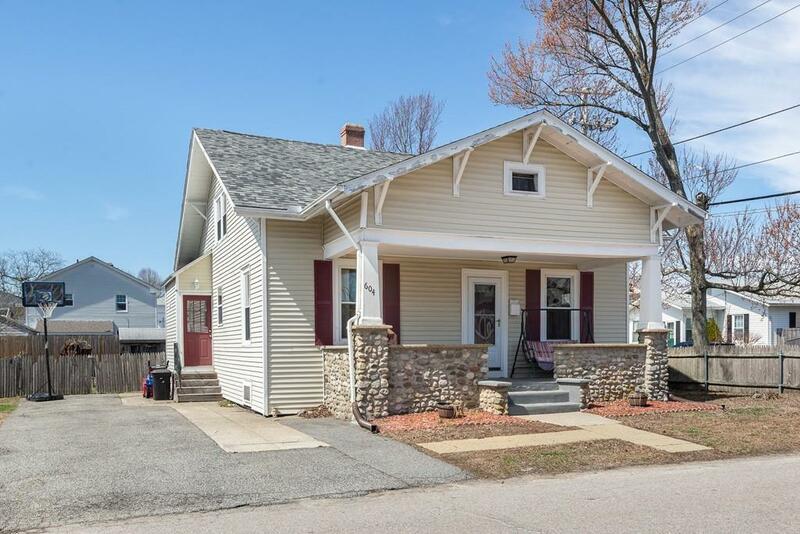 Full basement with updated electrical, newer roof, city water/sewer, large fenced in yard with oversized shed & stone front porch!